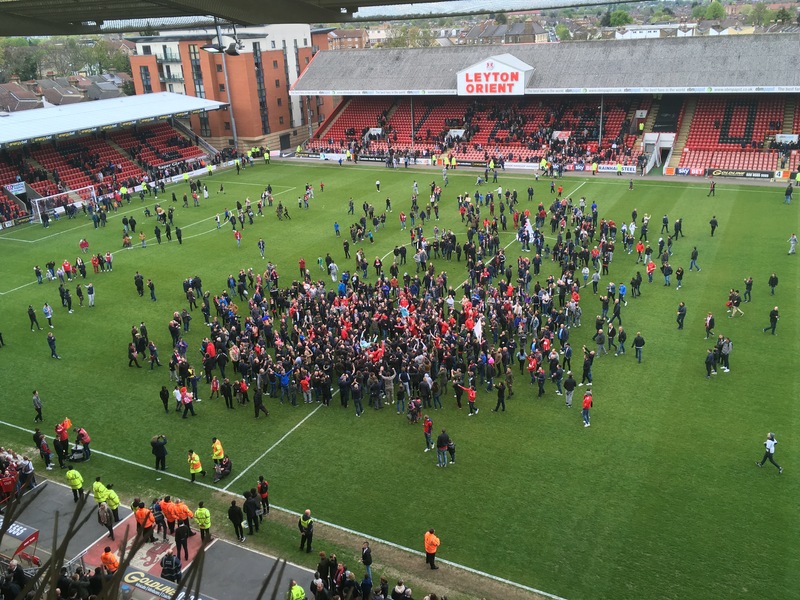 Leyton Orient keep their survival hopes alive with a 2-1 home victory over 10-man Hartlepool at The Matchroom Stadium. Hartlepool grabbed the opener early in the first half, as Rhys Oates tucked home from close range to stun the O’s. Orient responded through Victor Adeboyejo shortly after to tap home from inside the six-yard box. The O’s then went infront before the break with a superb strike from Tristan Abrahams, as he made it two goals in two appearances to raise the roof at Brisbane road. Omer Riza made one change to his side that drew 2-2 away at Luton Town on Good Firday, as goalscorer Tristan Abrahams was preferred to Sam Dalby who moved to the bench. Orient had the first shot on goal, as the ball was laid off to captain Liam Kelly whose strike was blocked and collected by Joe Fryer. The O’s then went more direct and were almost rewarded, as Adeboyejo ran on to the ball into the area and volleyed his shot from a tight angle which had to be palmed away by Fryer. Hartlepool then took the lead through their first attack, which found Oates inside the area who rid a few challenges and tucked the ball past Sam Sargeant to stun the hosts. Orient responded eleven minutes later, as Michael Clark burst forward and fizzed a low cross in for Adeboyejo to guide in from inside the six-yard box. The away side nearly restored their lead, as Padraig Amond went beyond the Orient defence and cut the ball across goal for Lewis Alessandra who shot straight at Sargeant. Steven Alzate then broke through the Hartlepool midfield and slotted Adeboyjo in on the right side of the box but dragged his shot wide. 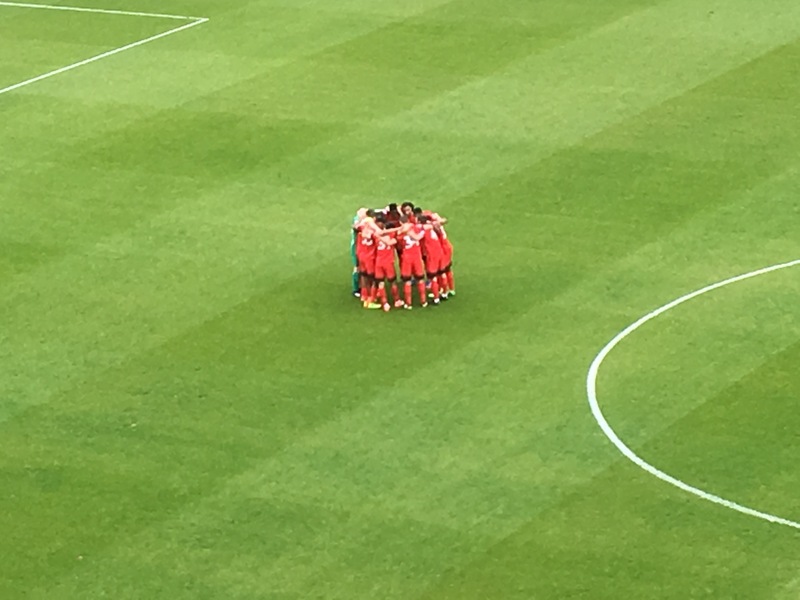 Adeboyejo became creator this time for the O’s as he squared the ball across goal for Abrahams to shoot which was saved and cleared by Fryer, to deny Orient the lead. The hosts took the lead ten minutes before the break, as Alzate wriggled through two Hartlepool defenders and poked the ball through to Abrahams who hammered it into the roof of the net. 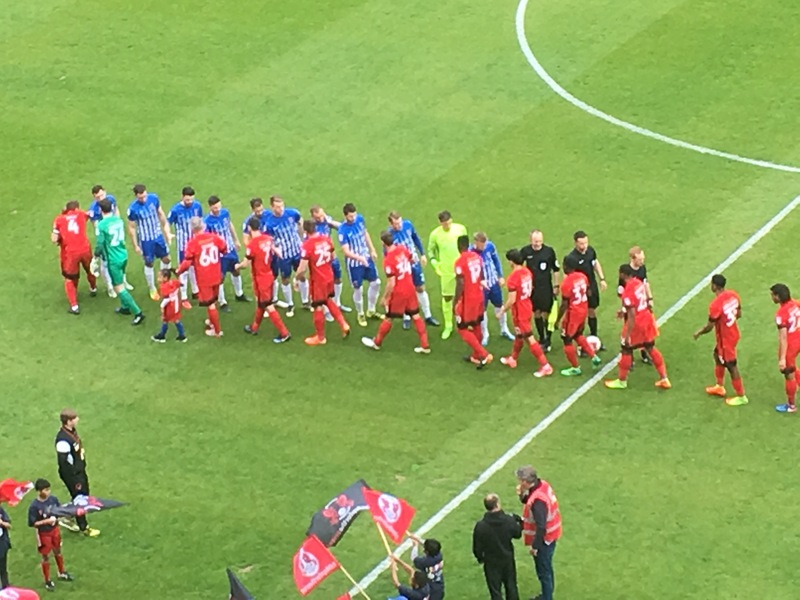 In the second half, Orient almost grabbed a third as Michael Collins clipped a ball over the Hartlepool defence to Abrahams who waited for the ball to drop kindly for him to hit a fierce strike which was tipped over by Fryer. Hartlepool very nearly got the equaliser, as a long ball into the box by Hartlepool fell to Oates whose poor touch was heading in until Aaron Pollock hacked the ball away to safety. Liam Donnelly for Hartlepool was then given two yellows following dissent towards the referee and then squared up to the official and was sent off for his actions, to end a frustrating day for the visitors but jubilation for Orient who fight on. This entry was posted in Football, Sport and tagged EFL, Football League, Hartlepool, Leyton Orient.